I was perusing the spice section at our local GFS store when I spied a big container of Buffalo-style seasoning. Yeah, like I’d pass up on anything wing-related. I grabbed a bottle and stopped by my grocery store and picked up a family pack of fresh chicken wings. I was going to make wings. Great wings. Buffalo Ranch dry wings. Dry wings really bring out the flavor of the wing and the seasoning. They aren’t buried in sauce so much that that’s all you can taste. Now that doesn’t mean I’m shy with the seasoning, but I am careful that I can still taste the chicken. These wings are absolutely fantastic, with that traditional Buffalo wing flavor, but without the mess. If you don’t have a GFS in your area you can find other brands of Buffalo style seasoning in your grocer’s spice section. Also try my smoky chipotle dry wings. Add 2 tablespoons of the Buffalo wing seasoning and the oil. Transfer cooked wings to a bowl and sprinkle with the remaining Buffalo wing seasoning and also the Ranch seasoning. 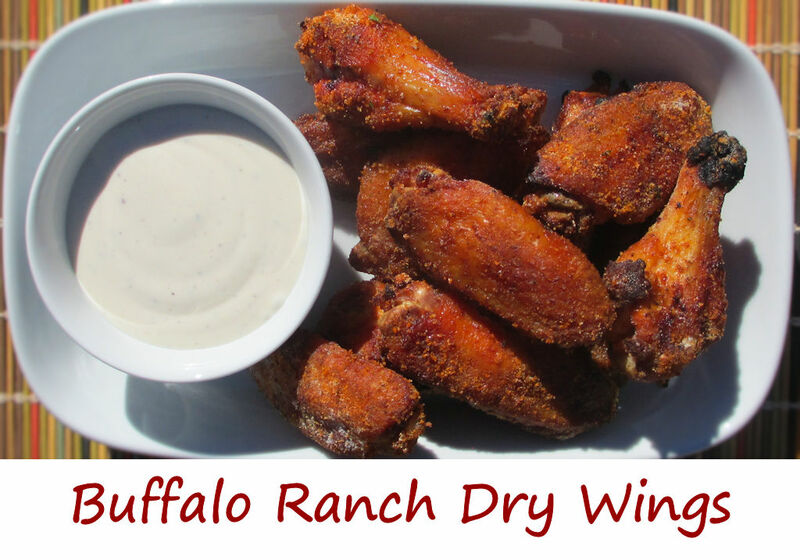 This entry was posted in Chicken Wings and tagged buffalo, Buffalo dry wings, Buffalo Ranch Dry Wings, dry, dry wings, ranch, Ranch dry wings, recipe, wings by Mike. Bookmark the permalink.